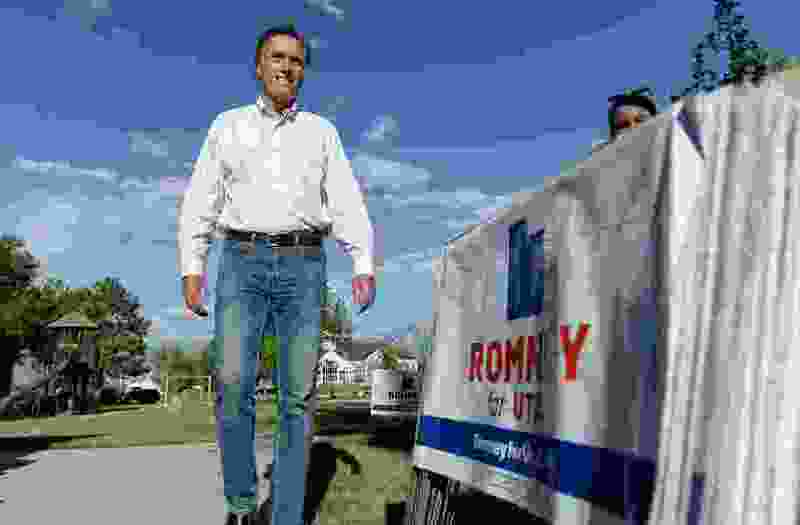 (Francisco Kjolseth | The Salt Lake Tribune) U.S. Senate candidate Mitt Romney arrives for "Mondays With Mitt" at Veterans Memorial Park in West Jordan on Monday, June 18, 2018, to speak with supporters. (Rick Egan | The Salt Lake Tribune) Mitt Romney shakes hands with supporters at Romney Headquarters in Orem on election night, Tuesday, Nov. 6, 2018. Two days before Election Day, Marty Stephens, a Latter-day Saint stake president and the church’s chief lobbyist on Utah’s Capitol Hill, took to the pulpit and urged his congregations to “Follow the prophet” and, in so many words, vote against the ballot measure legalizing medical marijuana. Although most Utah voters ultimately bucked the church’s position and approved Proposition 2 anyway, Stephens’ sermon and the public and behind-the-scenes actions of Utah’s predominant faith during the campaign have revived questions about the separation of church and state and whether Latter-day Saint authorities wielded inappropriate influence on politicians, policymakers and rank-and-file church members. McKay Coppins, staff writer for The Atlantic and a graduate of Brigham Young University, shares his views on Prop 2, the midterm elections, Mitt Romney, the church’s forays into politics and its clout in Utah and Washington. (Trent Nelson | The Salt Lake Tribune) Sam Young speaks at a march and rally in Salt Lake City on Friday, March 30, 2018. High-profile excommunications — or potential excommunications — are again in the news. Gina Colvin, a scholar, blogger and podcaster in New Zealand, has announced that she faces possible ouster after joining the Anglican Communion. 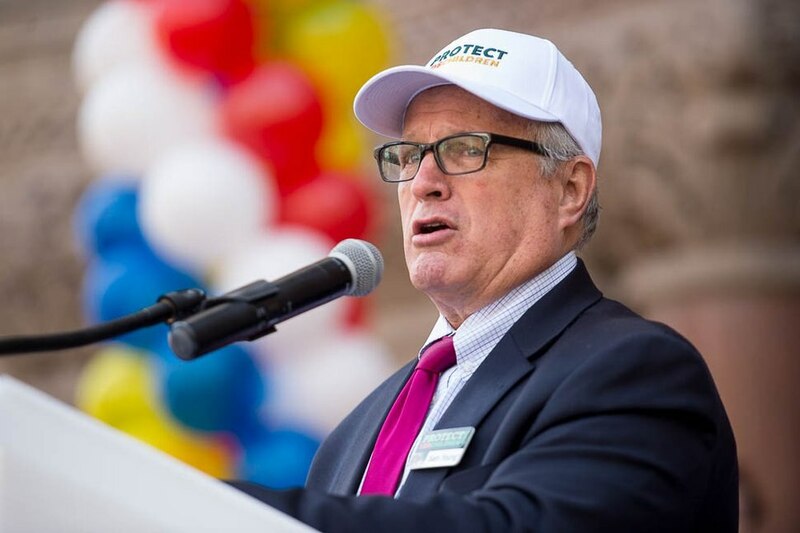 Sam Young, another former bishop, got the boot in September for “conduct contrary to the laws and order of the church” in his relentless campaign against one-on-one interviews of youths by lay clergy and the sexually explicit questions that sometimes are asked. Now, Religion News Service columnists Benjamin Knoll and Jana Riess cite research that shows the “chilling” effect these headline-making excommunications may be having on Latter-day Saints of all stripes, especially younger ones, and their potential to chase away members. These cases “trouble,” to some degree, more than half (57 percent) of Latter-day Saints and nearly two-thirds (66 percent) of millennials. 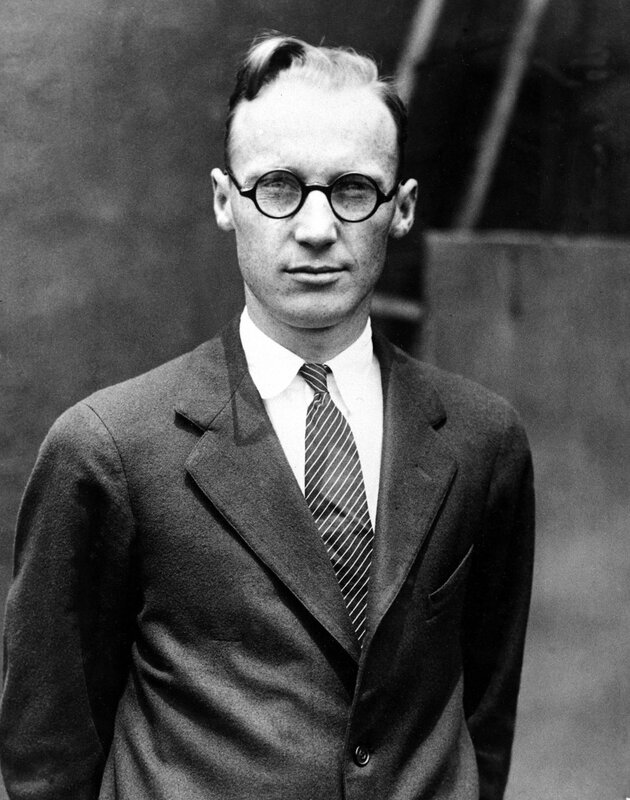 (AP Photo) In this July 1925 file photo, John T. Scopes, a high school biology teacher charged with teaching evolution, poses for a photo at the time of his trial that was dubbed the "Monkey Trial" by the media in Dayton, Tenn. Acceptance of evolution among Latter-day Saints is, well, evolving. New research from Brigham Young University, published in the PLOS One journal, reveals that undergraduates at the church-owned school from 2014 to 2016 are far more likely to embrace evolutionary theory than BYU students 20 to 30 years ago. They also are less likely to see a conflict between these scientific findings and religious teachings. Rick Egan | Tribune file photo A scene from the Mormon Miracle Pageant, which depicts the Book of Mormon's account of Jesus Christ's appearance in America, is seen in the 2011 file photo. 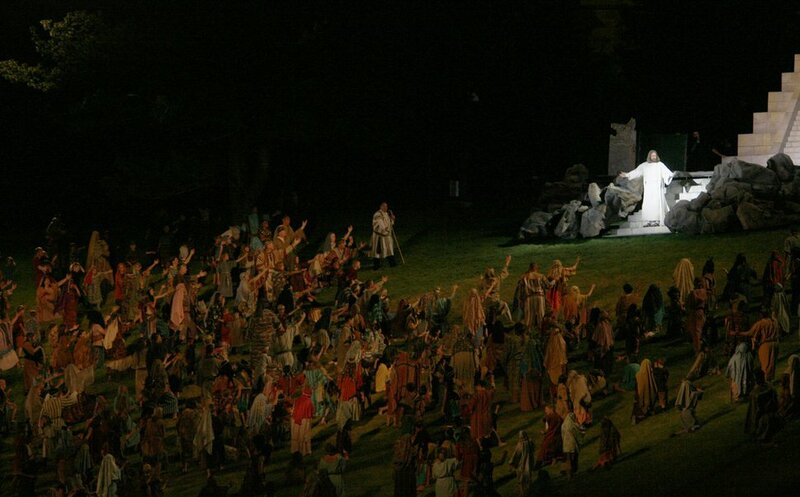 Bigger crowds than the usual 75,000 or so are expected to attend next year’s Mormon Miracle Pageant in Manti. After all, they’ll be the final performances of the show. The church pulled the plug on most large pageants, and organizers in central Utah eventually decided to end the half-century-old tradition. So, after the grand finale of the last performance on June 22 outside Manti’s landmark temple, the pageant spotlight will dim forever. (Courtesy photo | AMAR International) Sharon Eubank, first counselor in the general presidency of the Relief Society and director of LDS Charities, joined 200 global religious leaders, politicians and experts in Baghdad, Iraq, for a conference designed to raise worldwide support to end religious persecution, Nov. 10–11, 2018. High-level church leaders journeyed to Iraq last month to help muster support in the fight against religious persecution. 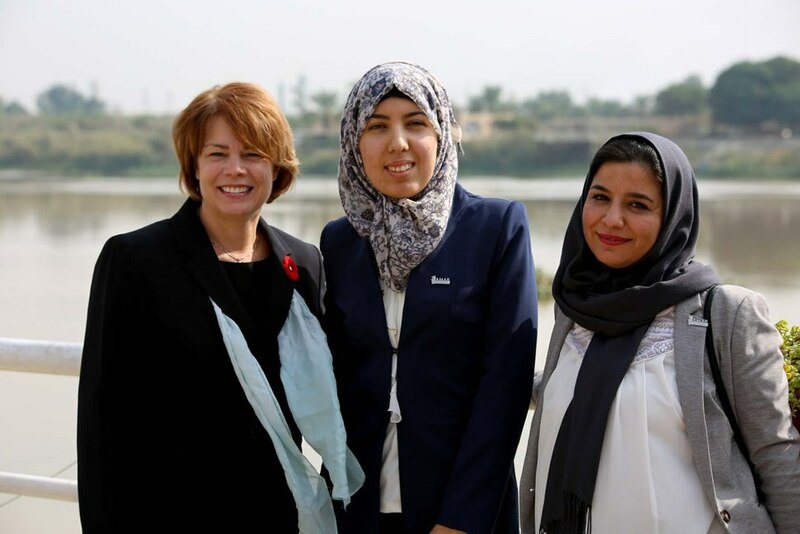 Sharon Eubank, director of LDS Charities, and Anthony D. Perkins, a general authority Seventy, joined hundreds of religious and political leaders at a Baghdad conference sponsored by the Britain-based AMAR Foundation. Eubank, who doubles as first counselor in the church’s Relief Society general presidency, noted efforts to assist these battered communities. A former treasurer of Exponent II faces possible prison time when she is sentenced in February after admitting to stealing more than $107,000 from the Mormon feminist magazine’s nonprofit foundation. 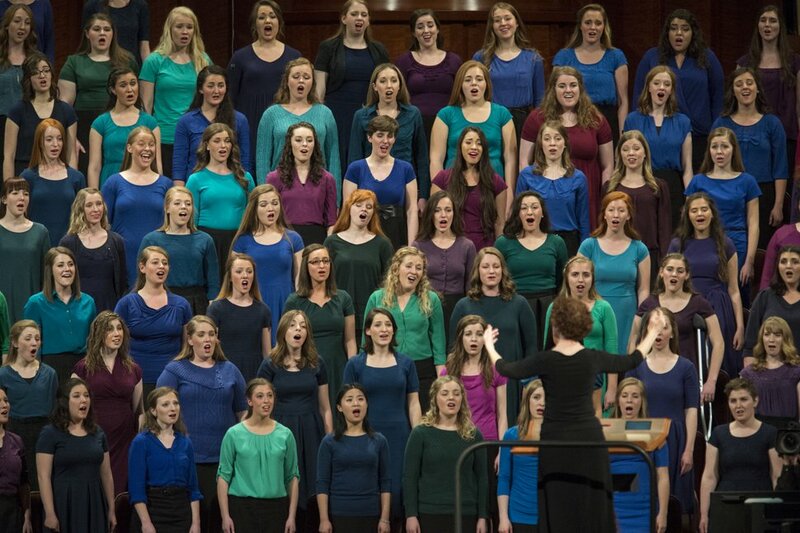 Rick Egan | The Salt Lake Tribune The combined Relief Society Choir from Brigham Young University sings at the women's session of General Conference on Saturday, March 25, 2017. Latter-day Saint leaders can help the church navigate the future if they “pay attention” to issues women have with the faith and recognize their “religious authority,” according to a religious historian. University of Utah professor Colleen McDannell, author of the recently released “Sister Saints: Mormon Women Since the End of Polygamy,” tells Religion News Service senior columnist Jana Riess that women are key to ensuring that children stick with the faith. In her Q&A with Riess, McDannell also discusses the faith’s evolving position on birth control, women working outside the home, the so-called family proclamation and changes to the temple endowment ceremony. 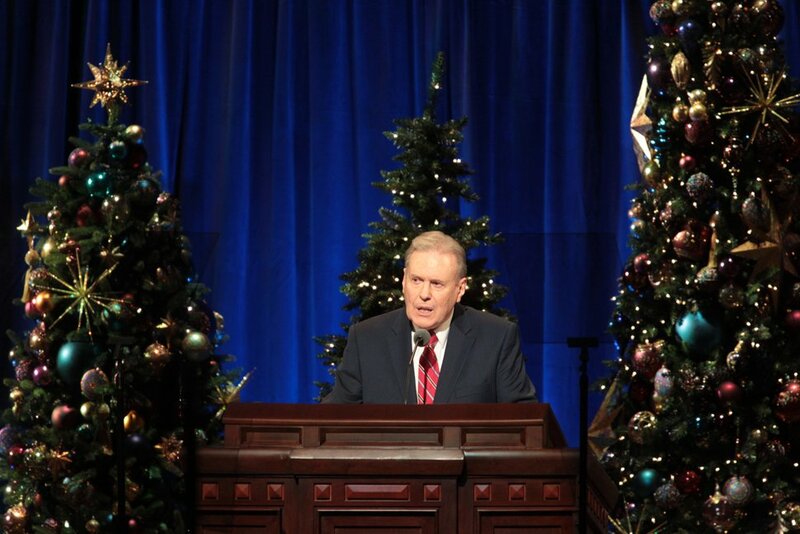 (Courtesy photo | The Church of Jesus Christ of Latter-day Saints) Terence M. Vinson of the Presidency of the Seventy speaks at the First Presidency's Christmas Devotional on Dec. 2, 2018.